In Romans 13 Paul writes that Christians are both citizens of the state and the church has a duty to obey both. Sessions uses that passage to justify punishing immigrants—most of whom are brown or Black, coming from where Trump has labeled “sh*thole countries.” Very boldly, however, Paul clearly states in that same passage that love is the foundation of the Gospel, which supersedes all other man-made laws. As clear-cut are the writings of Paul, Christians must look to a higher source, asking what would Jesus do? The Bible shows Jesus condemning the “sin” of legalism. Legalists can quote, pound and thump the Bible, while being ignorant or oblivious to the spirit of the Law which infuses the soul and conscience to be kind, merciful and charitable. Legalists most often overlook the sinful practices of corporate greed and the current EPA policies of allowing corporations to leak or belch harmful chemicals into poor neighborhoods or Trump using the budget to deny healthcare to the medically indigent, who are at risk of dying because of that lack of access. These kinds of tactics, no doubt, are why Jesus declares that it’s easier for a camel to go through the eye of a needle than a rich person, who thinks that wealth alone, gives them access to heaven. 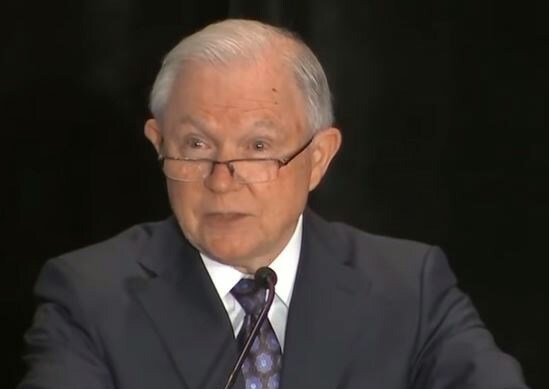 Sessions and his group – Pharisees of today – go to Scripture to find passages to support their harmful anti-Black, anti-women, anti-poor policies, which are so void of love and kindness they have no relevance for today. Trump’s Attorney General clearly misses the a fundamental message of Scripture which Jesus quoted as Good News, not the lies, harsh words and the meanness we see today. Declaring his mission in Luke 4:18, Jesus said that he was anointed to preach the Gospel (good news) to the poor, heal the broken-hearted, and preach deliverance to the captives to set at liberty them that are bruised. 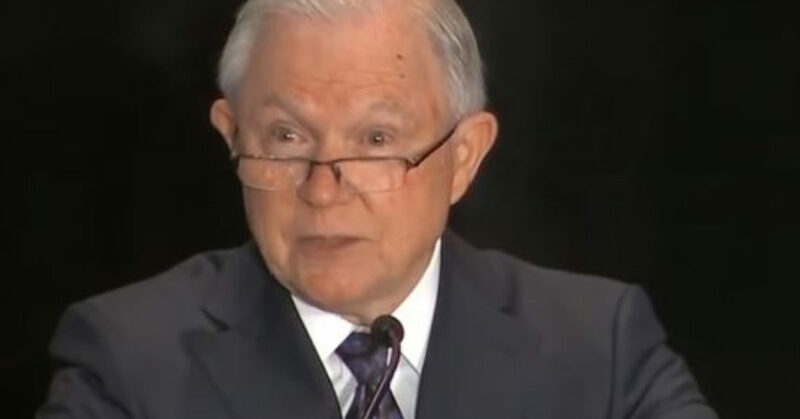 Do the Sessions policies have anything to do with the Good News, Jesus, the Bible or anything sacred that is a part of the Jewish, Christian, Islamic faiths? So why are so many preachers, pastors, bishops, megachurch leaders, not pushing back, defending the sacred text and taking these Pharisees to task, not only for their punitive practices toward immigrants, but also the transference of billions of dollars from the needy to the Trump oligarchy? Isn’t sacred text worth defending? How long will loving and moral Americans tolerate hypocrisy, cruelty and sins against humanity? Is it time for Sessions to have a Damascus road experience so that he can get knocked down off his high perch to see the light of Jesus’s love for the least of these? Keith Magee is a public intellectual, ordained minister, and, serves as, Senior Fellow in Culture and Justice, University College London. Barbara Reynolds is an ordained minister, former startup editor and columnist for USA TODAY and author of seven books, the latest The Life, Love and Legacy of Coretta Scott King. They are mother and son. Is it time for more parents to choose home schooling?